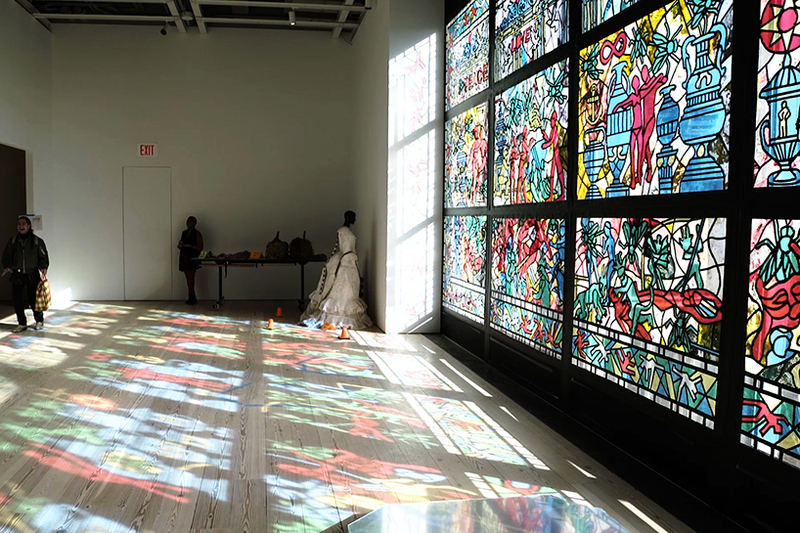 the 2017 whitney biennial is taking place from now through june 11, surveying american art across painting, installation, activism and video-game design. 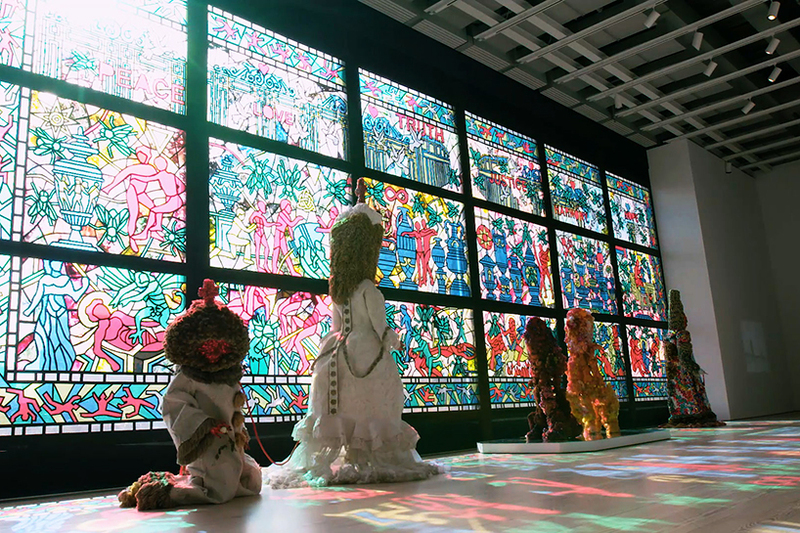 one of the most widely-celebrated commissions is an 18-panel, stained-glass-like mural by artist raúl de nieves that takes over the museum’s windowed façade. 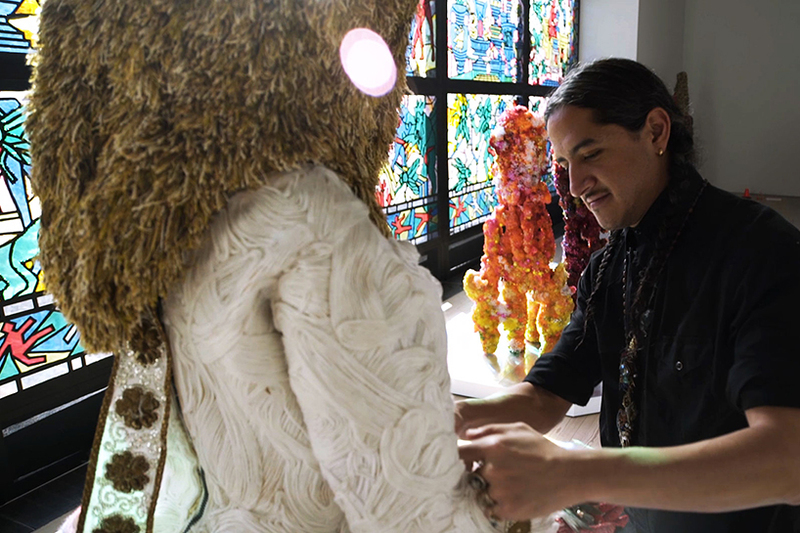 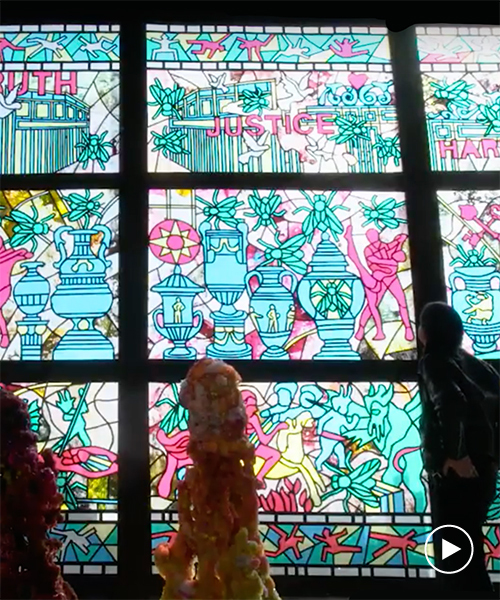 six floor-to-ceiling windows are covered in vivid motifs made from paper, wood, glue, tape, beads, and acetate sheets, forming a backdrop to the artist’s elaborately beaded sculpture series. 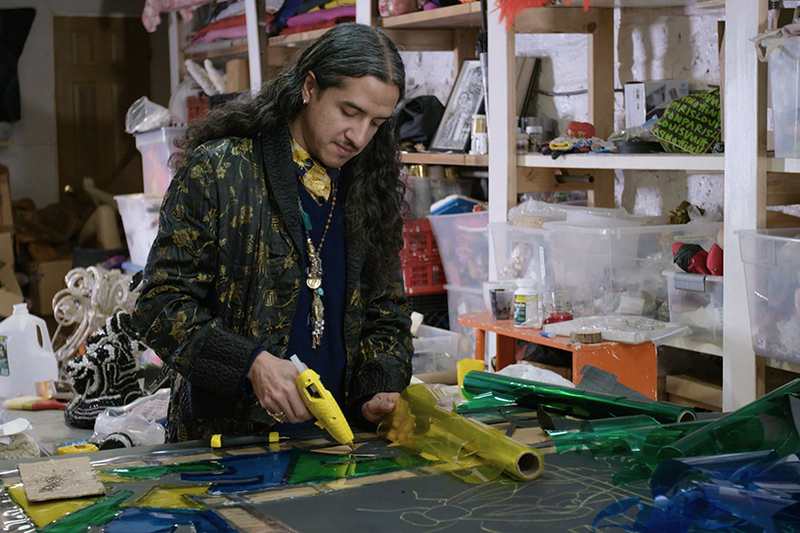 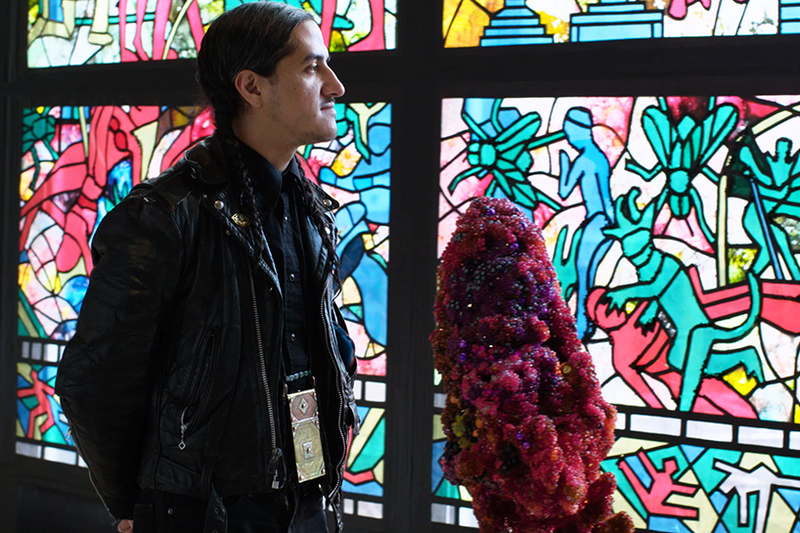 art21 — a nonprofit organization dedicated to connecting audiences to the artistic process — has taken a behind-the-scenes look at raúl de nieves working on the installation. 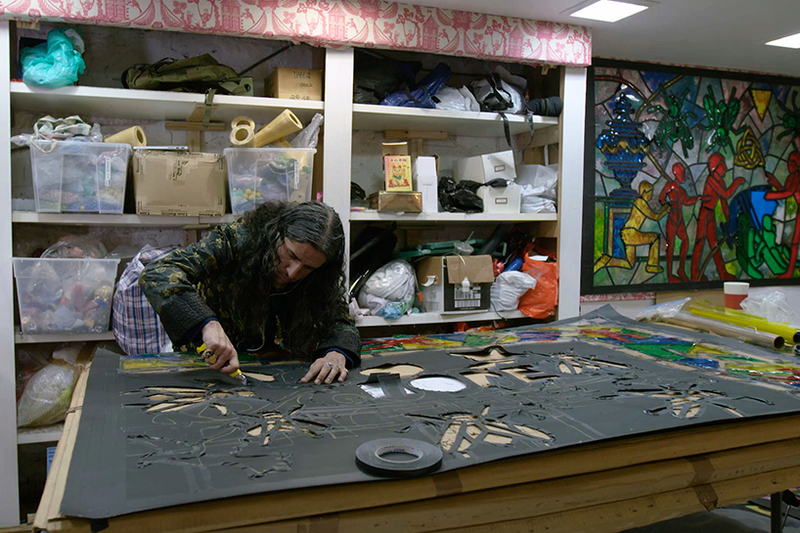 as part of the ‘new york close up’ digital series, the exclusive film explores the artist’s creative process and recounts the personal experiences reflected in his work. 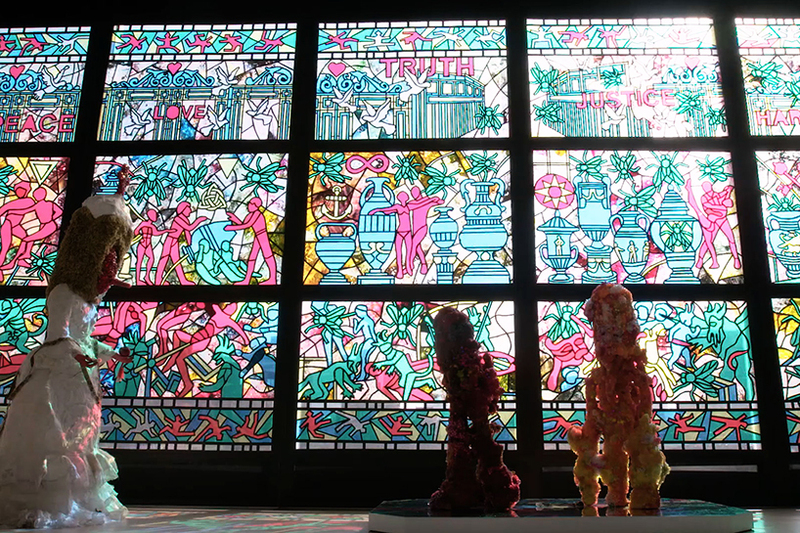 in december, art21 shared an exclusive film of korean creative do ho suh’s latest work, documenting the artist as he engages in a full-scale colored-pencil-on-paper rubbing of his former new york city home. 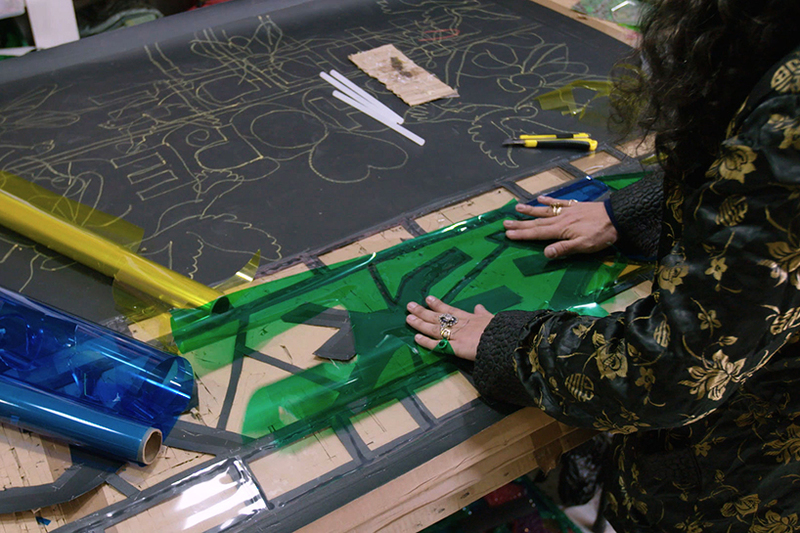 see the video on designboom here.